Wilmar closed with a spinning top @ S$3.53 (-0.03, -0.8%) with 6.87m shares done on 6 Jun 2017. 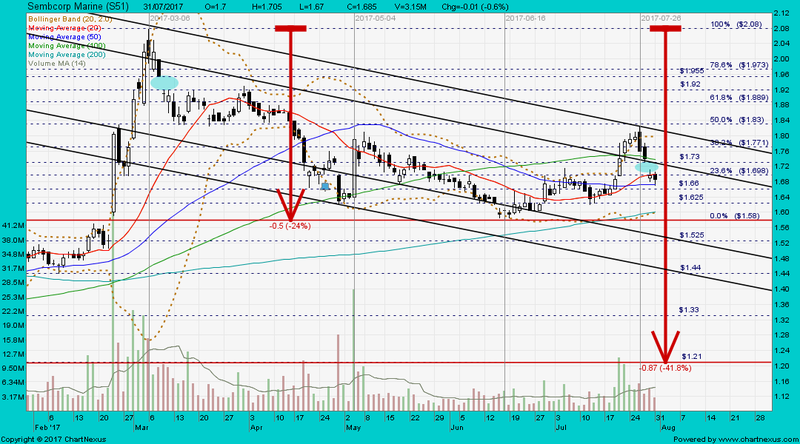 Immediate support @ S$3.48, immediate resistance @ S$3.56. 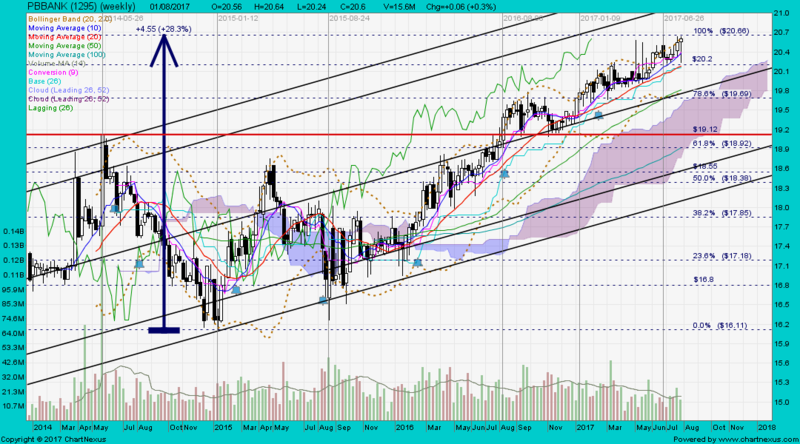 Supports are at MYR 2,485, 2,450 & 2,420. 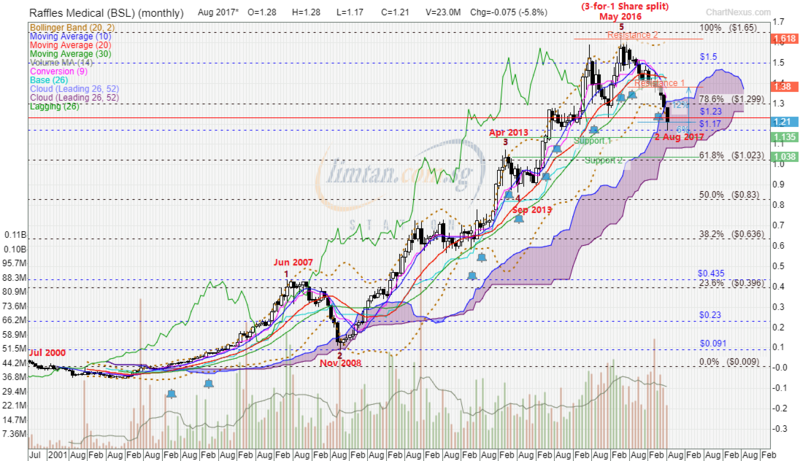 Resistances are at MYR 2,545, 2,580 and 2,610. Yangzijiang closed with a spinning top @ S$1.24 (-0.035, -2.7%) with 18.2m shares done on 6 Jun 2017. 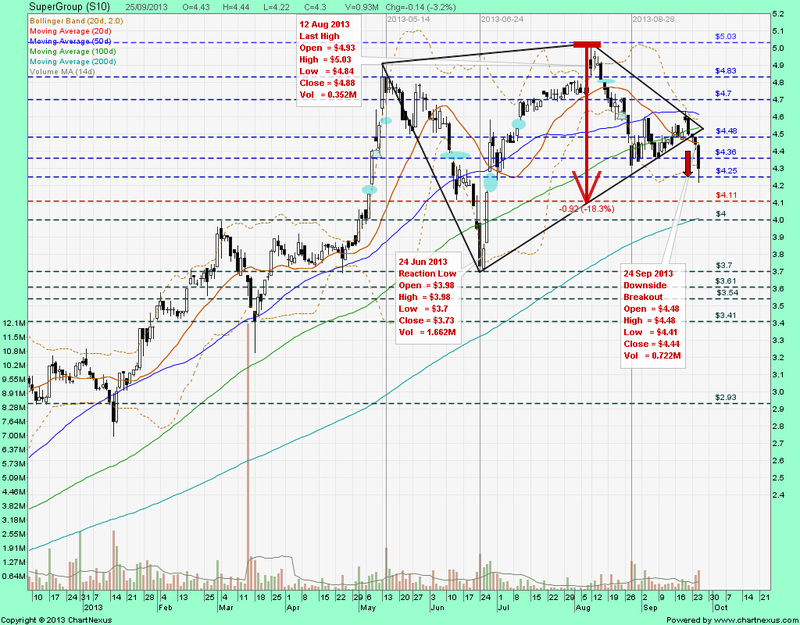 Immediate support @ S$1.20, immediate resistance @ S$1.275. Yangzijiang closed with a hammer @ S$0.77 (-0.015, -1.9%) with 25.3m shares done on 12 Aug 2016. 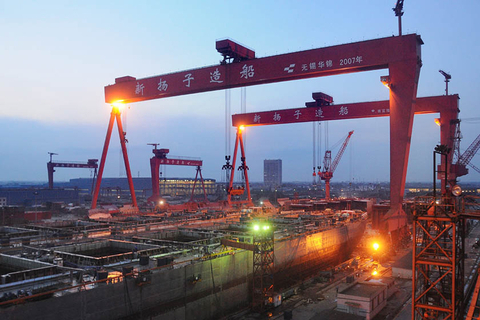 The layoffs will trim 28% of Yangzijiang's 28,000-strong workforce as of early 2015. Tianjin ZX closed with a black marubozu unchanged @ US$0.86 with 33,300 shares done on 6 Jun 2017. 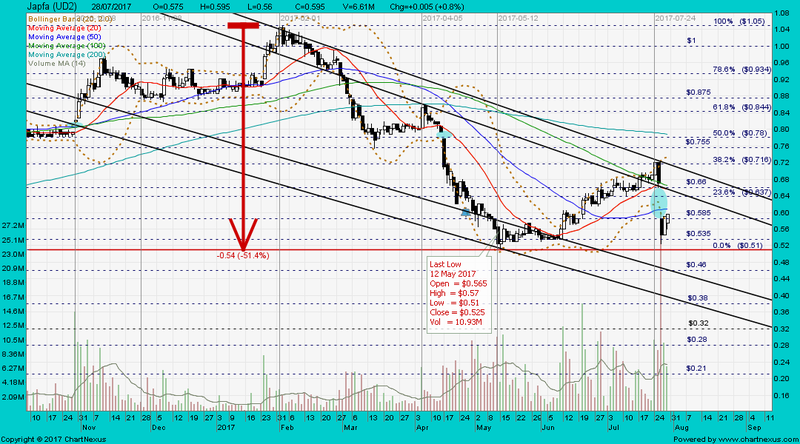 Immediate support @ US$0.86, immediate resistance @ US$0.895. Tianjin Zhongxin Pharmaceutical reported a 12% rise in 1Q earnings to RMB 133.7 million ($27 million) from a year ago. Revenue fell 11% to RMB 1.5 billion but gross profit margin increased to 37.4% from 31.6%. Other gains came in at RMB 17 million, an increase of 28% over the previous corresponding period. The increase was mainly due to returns from short-term investments and government bonds. The group’s share of profits of associates was RMB 38 million, 1% lower over the corresponding period. In light of the challenging economic conditions in recent years, the company plans to place greater emphasis on innovation and creation and focus on R&D. Shares of Tianjin Zhongxin closed at 95 cents. SingPost closed with an inverted hammer @ S$1.275 (+0.015, +1.2%) with 9.57m shares done on 8 Jun 2017. 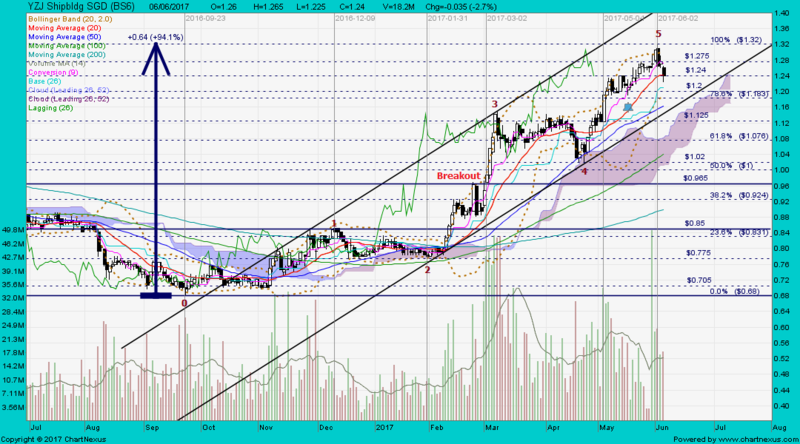 Immediate support @ S$1.26, immediate resistance @ S$1.305. Dead Cat Bounce Pattern（死猫跳）~ A temporary recovery in share prices after a substantial fall, caused by speculators buying in order to cover their positions (commonly known as short-covering). IHH closed with a white marubozu @ RM6.02 (+0.12, +2%) with 6.56m shares done on 2 Jun 2017. 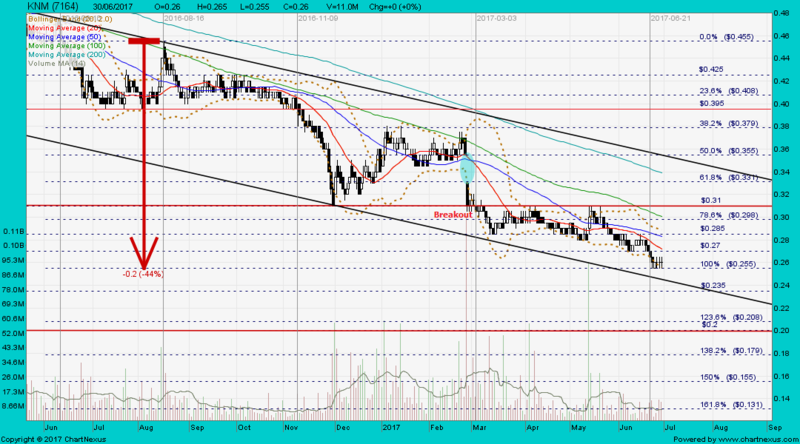 Immediate support @ RM6.00, immediate resistance @ RM6.15. 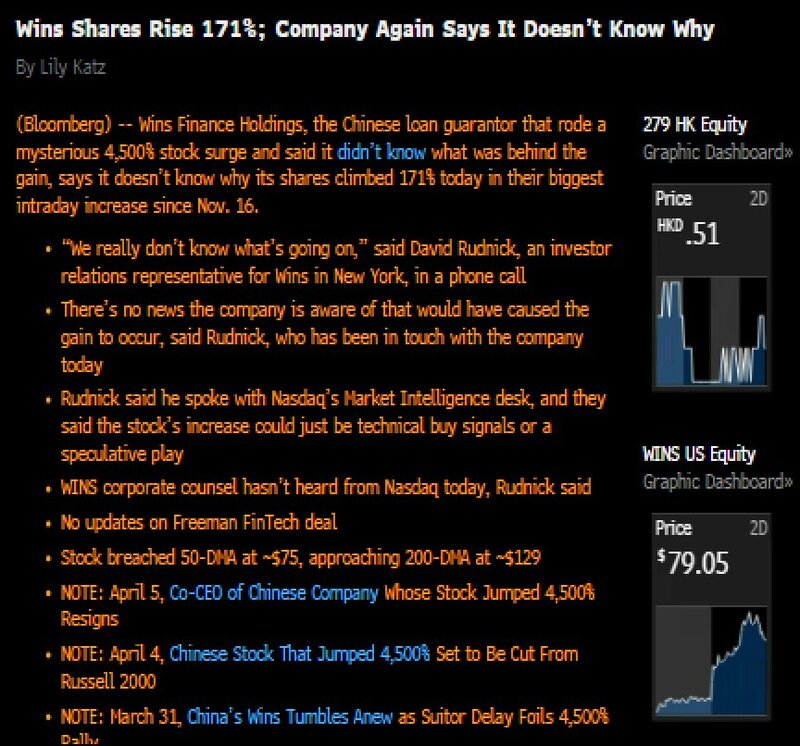 Wins Finance climbed as much as 184% to $230 on Wednesday -- up from about $20 at the start of this month -- before Nasdaq halted trading of the shares. 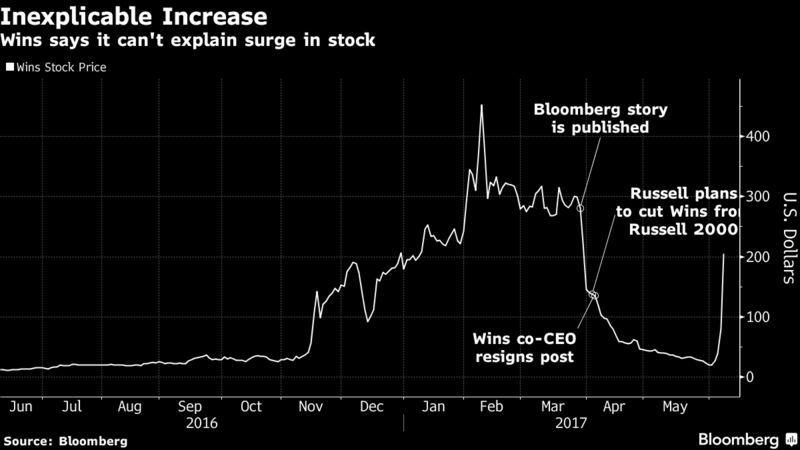 Wins Finance Holdings, a thinly traded stock made it onto a widely followed index, but that’s probably not the reason its price surged. Below is the recent list of WINS shareholders and you can see that almost everyone will become a seller in the next week! The Nasdaq Stock Market announced that trading was halted today in Wins Finance Holdings Inc. at 12:53:20 Eastern Time for "additional information requested" from the company at a last sale price of $205.01. SPH closed with a spinning top @ S$3.18 (+0.02, +0.6%) with 4.45m shares done on 16 Jun 2017. K1 Ventures had an inverted hammer and traded @ S$0.65 (-0.01, -1.5%) with 45,600 shares done on 19 Jun 2017 at 0955 hrs. 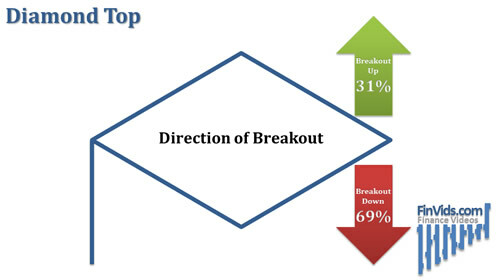 Dead cat bounce is a strong SELL signal; RUN-ROAD (short) and BUY-BACK (cover-short) at lower prices. Prominent cancer surgeon Ang Peng Tiam’s punishment for giving a former patient suffering from Stage 2B lung cancer false hope about her disease has been upped to an eight-month suspension. 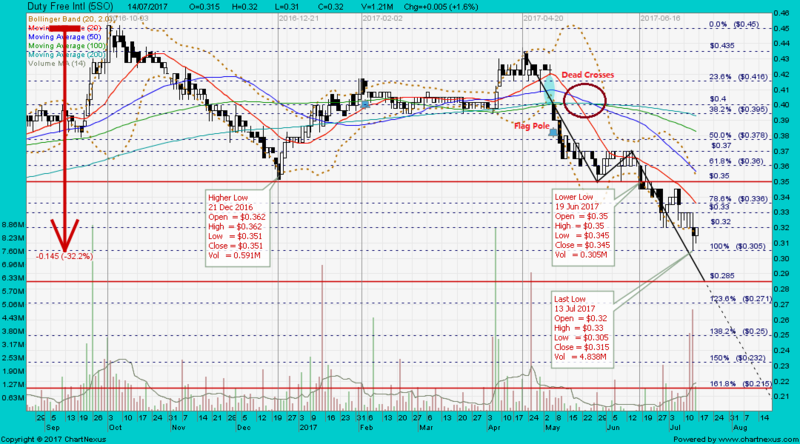 TalkMed gapped down and closed with a long-legged doji @ S$0.645 (-0.10, -13.4%) with 2.38m shares done on 28 Jun 2017. Rowsley closed with a hammer @ S$0.071 (-0.002, -2.7%) with 3.5m shares done on 30 Jun 2017. 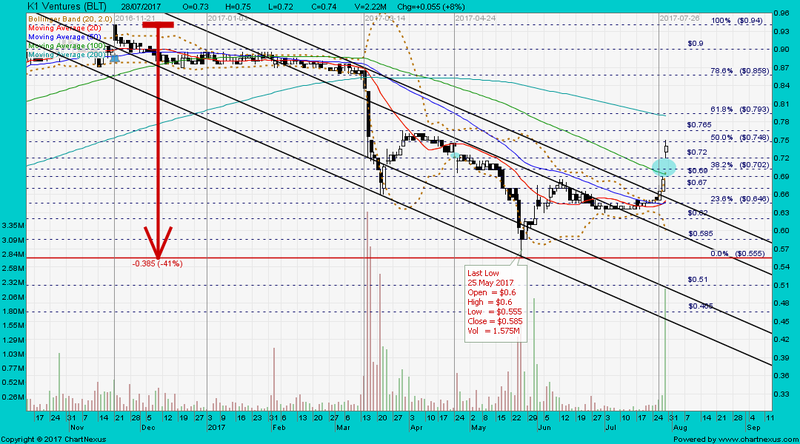 Immediate support @ S$0.07, immediate resistance @ S$0.076. 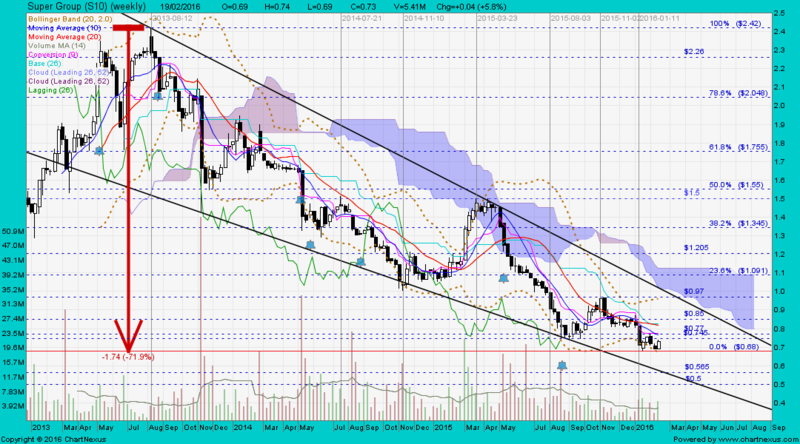 Rowsley closed with a long black marubozu S$0.114 (-0.013, -10.2%) with 3.84m shares done on 24 Aug 2015. Imagine a superb poker player who asks you for a loan to finance his nightly poker playing. For every $100 he gambles, he’s willing to put up $3 of his own money. He wants you to lend him the rest. You will not get a stake in his winning. Instead, he’ll give you a fixed rate of interest on your $97 loan. The poker player likes this situation for two reasons. 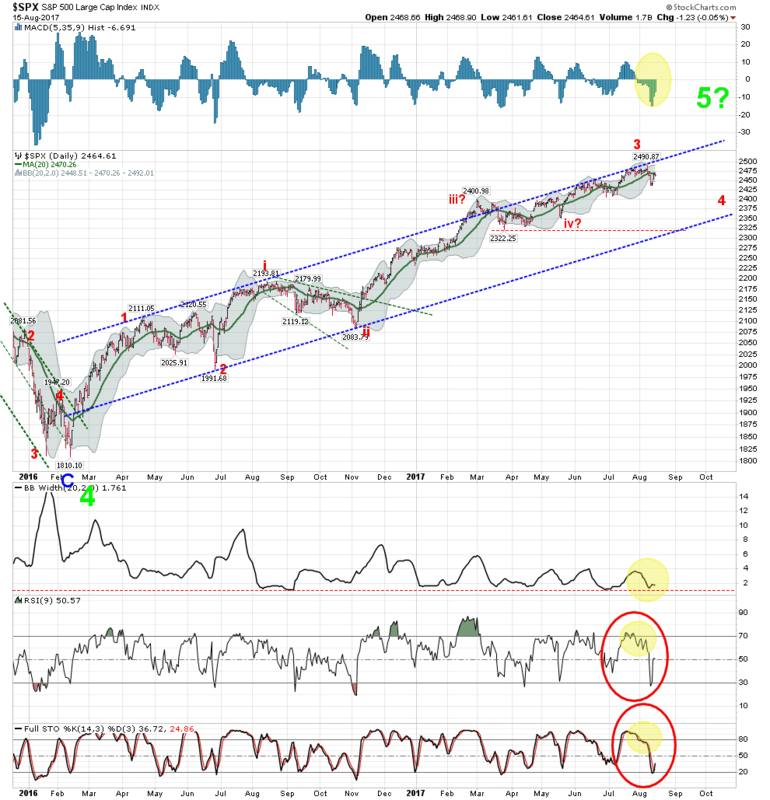 First, it minimizes his downside risk. He can only lose $3. Second, borrowing has a great effect on his investment — it gets leveraged. If his $100 bet ends up yielding $103, he has made a lot more than 3 percent — in fact, he has doubled his money. His $3 investment is now worth $6. But why would you, the lender, play this game? It’s a pretty risky game for you. Suppose your friend starts out with a stake of $10,000 for the night, putting up $300 himself and borrowing $9,700 from you. If he loses anything more than 3 percent on the night, he can’t make good on your loan. Not to worry — your friend is an extremely skilled and prudent poker player who knows when to hold ,em and when to fold ,em. He may lose a hand or two because poker is a game of chance, but by the end of the night, he’s always ahead. He always makes good on his debts to you. He has never had a losing evening. As a creditor of the poker player, this is all you care about. As long as he can make good on his debt, you’re fine. You care only about one thing — that he stays solvent so that he can repay his loan and you get your money back. But the gambler cares about two things. Sure, he too wants to stay solvent. Insolvency wipes out his investment, which is always unpleasant — it’s bad for his reputation and hurts his chances of being able to use leverage in the future. But the gambler doesn’t just care about avoiding the downside. He also cares about the upside. As the lender, you don’t share in the upside; no matter how much money the gambler makes on his bets, you just get your promised amount of interest. If there is a chance to win a lot of money, the gambler is willing to take a big risk. After all, his downside is small. He only has $3 at stake. To gain a really large pot of money, the gambler will take a chance on an inside straight. As the lender of the bulk of his funds, you wouldn't want the gambler to take that chance. You know that when the leverage ratio — the ratio of borrowed funds to personal assets — is 32–1 ($9700 divided by $300), the gambler will take a lot more risk than you’d like. So you keep an eye on the gambler to make sure that he continues to be successful in his play. 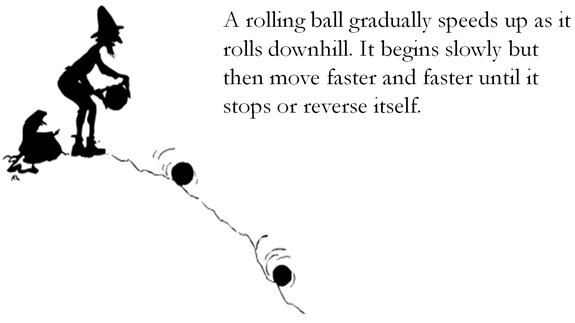 But suppose the gambler becomes increasingly reckless. He begins to draw to an inside straight from time to time and pursue other high-risk strategies that require making very large bets that threaten his ability to make good on his promises to you. After all, it’s worth it to him. He’s not playing with very much of his own money. He is playing mostly with your money. How will you respond? You might stop lending altogether, concerned that you will lose both your interest and your principal. Or you might look for ways to protect yourself. You might demand a higher rate of interest. You might ask the player to put up his own assets as collateral in case he is wiped out. You might impose a covenant that legally restricts the gambler’s behavior, barring him from drawing to an inside straight, for example. IHH closed with a black marubozu @ RM5.75 (-0.18, -3%) with 6.48m shares done on 30 Jun 2017. 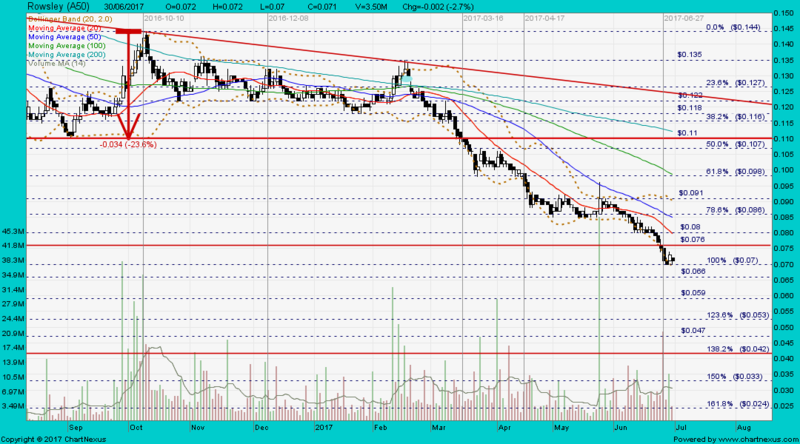 Immediate support @ RM5.69, immediate resistance @ RM5.80. IHH (Q0F) closed unchanged with an inverted hammer @ S$1.88 with 21,000 shares done on 30 Jun 2017. 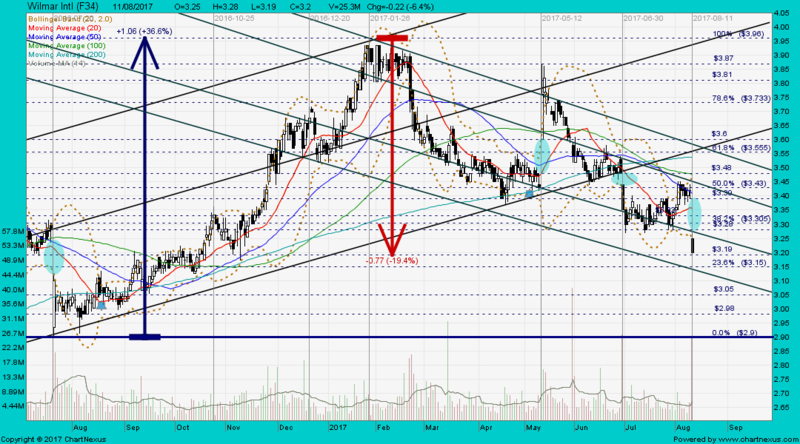 Immediate support @ S$1.86, immediate resistance @ S$1.89. Singapore's healthcare players are shifting strategy as rising costs and growing competition erode the city-state's appeal as a destination for medical tourism. Companies like IHH Healthcare Bhd and Raffles Medical Group are expanding overseas at a robust pace, leveraging on the brand names they've already established to draw increasingly affluent patients in populous countries such as China and India. Whether they'll succeed is open to debate. The upfront costs of opening a hospital are huge and margins are already under pressure, say industry watchers. However, the companies lack other options for growth. Although the rapidly aging Singapore population and the shortage of beds at government-run facilities could help demand, the increasing reliance on lower-margin domestic patients poses a risk to the profits of private hospitals. IHH, Asia's largest healthcare firm which is listed in Kuala Lumpur and Singapore, operates the well-known Mount Elizabeth and Gleneagles hospitals in the city-state. In March, it opened the 500-bed Gleneagles Hong Kong and is in the process of setting up hospitals in the Chinese cities of Chengdu, Nanjing and Shanghai that will open in the next four years. IHH already operates hospitals in Malaysia, India and Turkey. In an interview with the Financial Times published this week, Tan See Leng, IHH's chief executive, said that he is looking at a "bunch of assets" in India as the healthcare giant expands beyond its foothold in the southern part of the country. 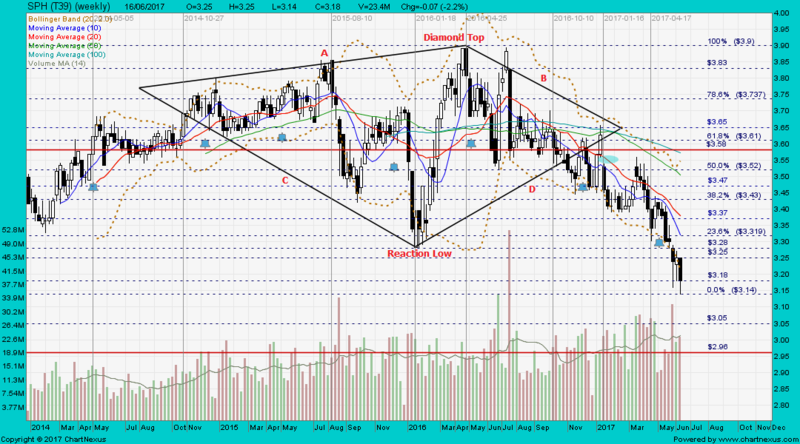 Reports in other media have pointed to Fortis Group, one of India's largest healthcare chains, as a likely target. Meanwhile, smaller rival Raffles Medical is in the process of building hospitals in Shanghai and Chongqing that are slated for completion sometime next year. According to IHH's 2016 annual report, the average revenue per admitted patient in Singapore stood at 27,543 ringgit ($6,418) in FY2015/16, down slightly from 27,660 ringgit in the previous financial year. The cost incurred by the average patient in Singapore was more than four times the 5,915 ringgit paid by the average patient at its Malaysian hospital, although that was partly due to the more complex cases treated in Singapore. Singapore has long been regarded as a premier healthcare destination in Asia thanks to its highly trained doctors and well-equipped private and government-run hospitals. However, costs are high in comparison to neighboring ASEAN countries such as Malaysia and Thailand, where the quality of care has improved so much over the past decade that more and more Singapore residents are seeking medical treatment there. Bumrungrad International, Thailand's top hospital, said its international patients include Singaporean nationals and residents, who visit Bangkok for health screening and preventative medicine as well as to consult specialists in areas such as obstetrics and gynecology. "We are also 25-35% cheaper than Singaporean private hospitals, and have been benchmarked by third parties to have similar or higher quality levels as the top hospitals there," said Sudi Narasimhan, the hospital's corporate director of marketing and business development. Bumrungrad is about 24% owned by Bangkok Dusit Medical Services PCL, Thailand's biggest healthcare group, although it operates independently from its major shareholder. Singapore has not provided medical tourism figures in recent years but data from Malaysia Health Travel Council show 921,000 visitors sought treatment in the country last year, up more than 40% from 643,000 in 2011. Bumrungrad said it sees around 520,000 international patients from over 190 countries each year. Besides IHH and Raffles Medical, the other Singapore healthcare players include unlisted Thomson Medical, Health Management International Ltd, whose operations include two hospitals in Malaysia, and specialist medical clinics such as TalkMed and Singapore O&G. In a report last week, UOB Kay Hian said that medical tourism growth in Singapore looked set to slow further despite the global boom in demand for quality healthcare, with private hospitals having to rely more on lower-margin local patients. While Singapore still remains a compelling medical tourist destination in terms of service quality and clinical outcomes, foreign patient growth may slow gradually due to competition from neighboring ASEAN countries, the brokerage said. UOB Kay Hian also said the average bill size per patient in Singapore is now growing at an average of 1-2% a year, down from 5% as recently as in the financial year ended March 2014, based on data provided by IHH. Despite Singapore's loss of competitiveness in the market for international patients, analysts believe private hospitals at home could benefit from a spillover from public hospitals. According to UOB Kay Hian, bed occupancy levels at government-owned hospitals remain between 82-97%, exceeding the standard of 82-85% set by the Australian Medical Association and the Australasian College of Emergency Medicine. Maybank Kim Eng said that while growth in Singapore has slowed due to a decrease in medical tourism, "the structural growth drivers remain positive driven by an aging population, rising affluence, increasing prevalence of chronic diseases and demand for quality services." Looking ahead, analysts are more positive in their outlook for IHH as compared with Raffles Medical, although some warn that valuations are high at 53 times forecast earnings compared to the average price-earnings ratio of around 40 for healthcare groups in Asia. The high valuation is due to IHH's larger geographical footprint and exposure to faster growing markets such as Malaysia and India. However, there is caution about Raffles Medical's near-term prospects due to margin pressures in Singapore, its main source of revenue, as well as upfront costs associated with its expansion into China. "Margins are now at a low but could go even lower...Margin pressure will only further intensify due to start-up costs for its Singapore hospital extension opening in 4Q17 and start-up costs for its 700-bed hospital in Chongqing due to open in mid-18," CIMB Research said in a recent report. PPB closed with a white marubozu @ RM17.16 (+0.22, +1.3%) with 1.58m shares done on 30 Jun 2017. 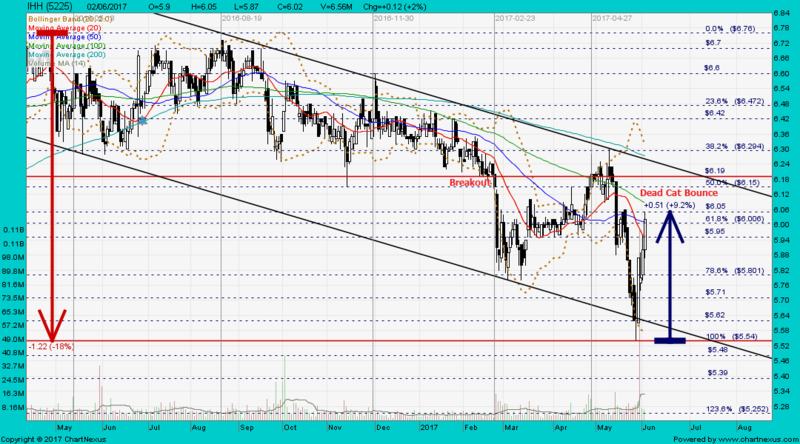 Immediate support @ RM16.84, immediate resistance @ RM17.20. Agribusiness giant Wilmar International down 3.5% at S$3.36 after Morgan Stanley downgrades stock to "equal-weight" from "overweight"; slashes target price by over 20% to S$3.09. Cuts 2017-18 profit-before-tax estimates by 23% and 34% as it lowers refining and crushing margin expectations. "Declining palm oil prices could pressure upstream PBT, and a glut in refining capacity in Indonesia and Malaysia could erode any potential downstream margin gains from lower feedstock costs given lower palm oil prices," it says. 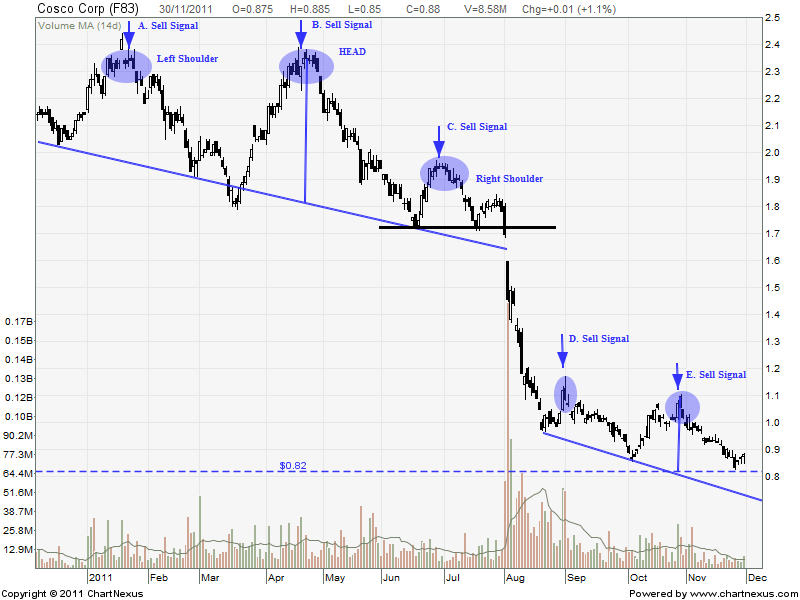 Expects planned China listing, announced last month, to provide near-term support for share price. "Weighing its near-trough valuations, near-term earnings trajectory and valuation support from the proposed China listing, we think that Wilmar should trade in a tight band in the coming quarters." Stock worst performer on Straits Times Index; STI down 0.9%. Wilmar gapped down and closed with a black marubozu @ S$3.35 (-0.13, -3.7%) with high volume done at 26.1m shares on 30 Jun 2017. 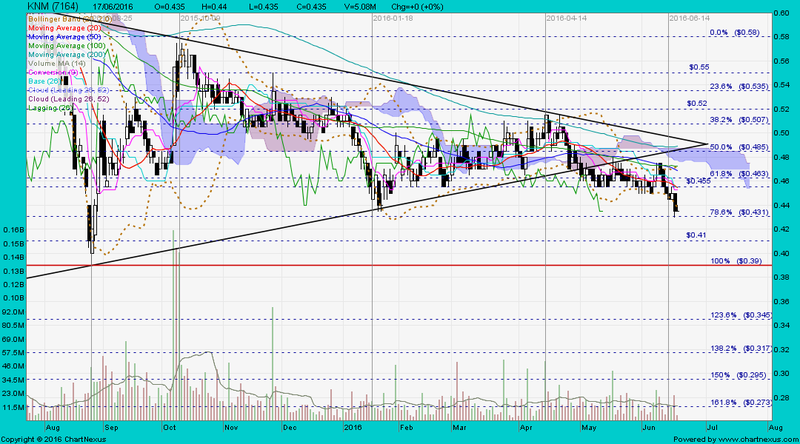 Immediate support @ S$3.31, immediate resistance @ S$3.44. 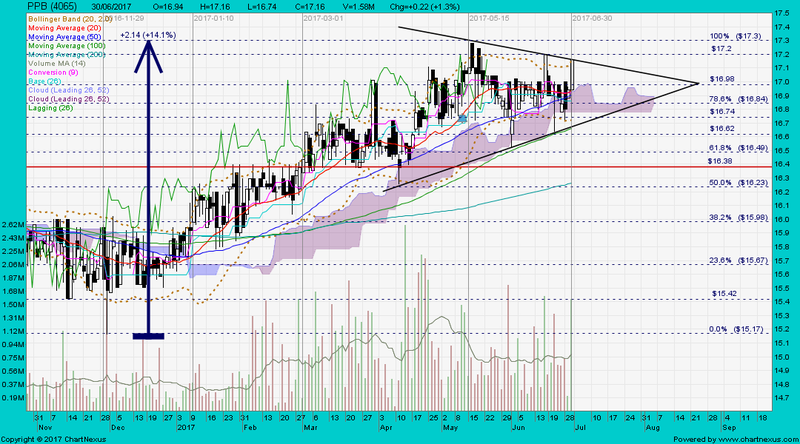 KNM closed with a doji unchanged @ RM0.26 with 11m shares done on 30 Jun 2017. 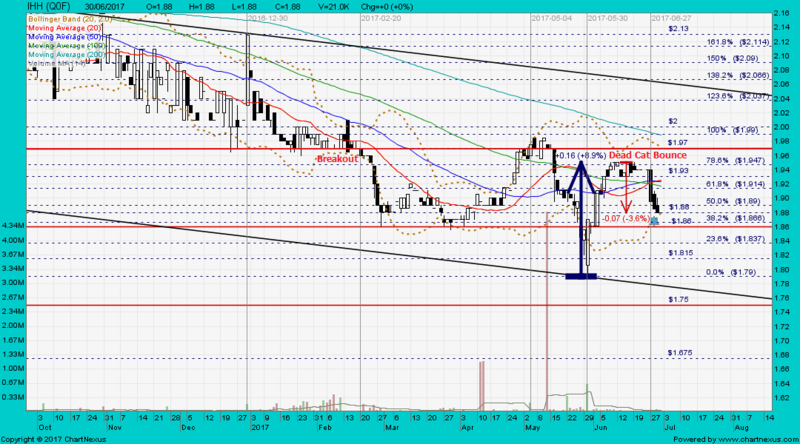 Immediate support @ RM0.255, immediate resistance @ RM0.27. 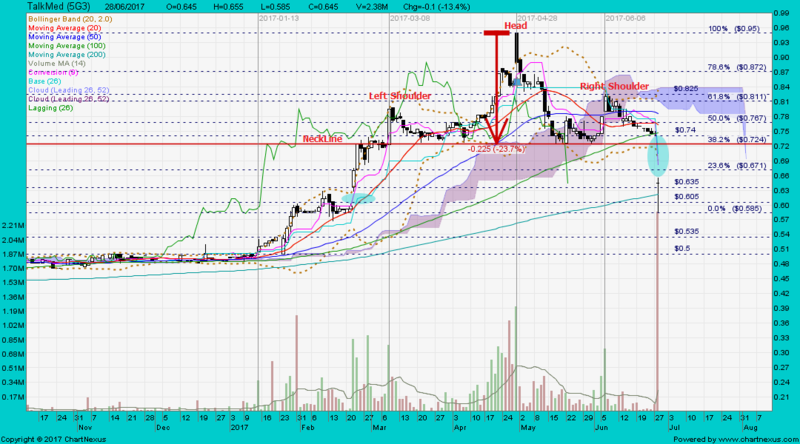 KNM closed with a gravestone doji unchanged @ RM0.435 with 5.08m shares done on 17 Jun 2016. 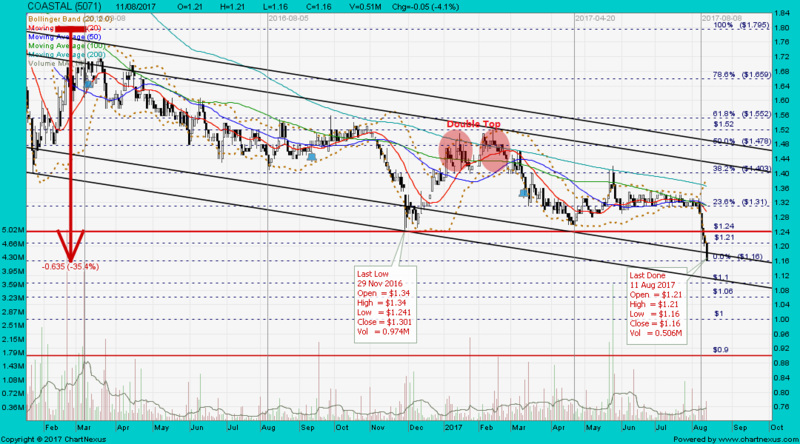 Immediate support @ RM0.41, next support @ RM0.39, immediate resistance @ RM0.45. 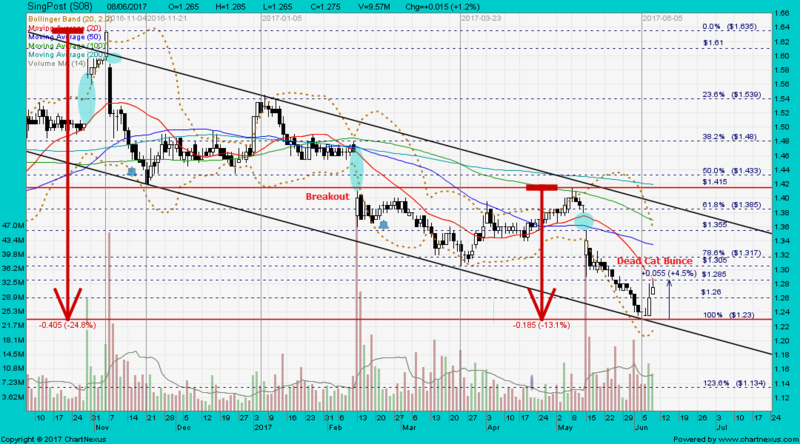 Expect KNM's share price to retest the last low of RM0.39 scored on 25 Aug 2015. 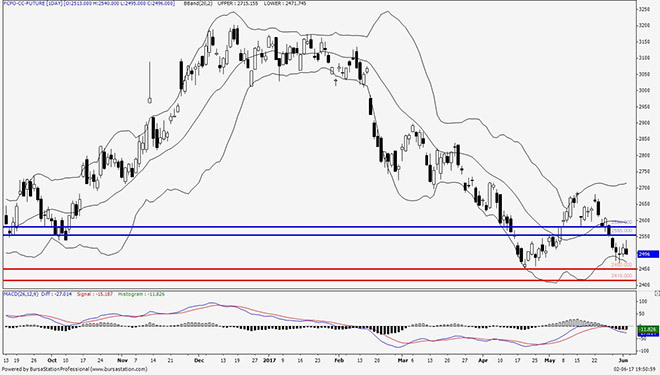 ComfortDelgro closed with a bullish engulfing @ S$2.26 (+0.03, +1.3%) with 16.3m shares done on 7 Jul 2017. 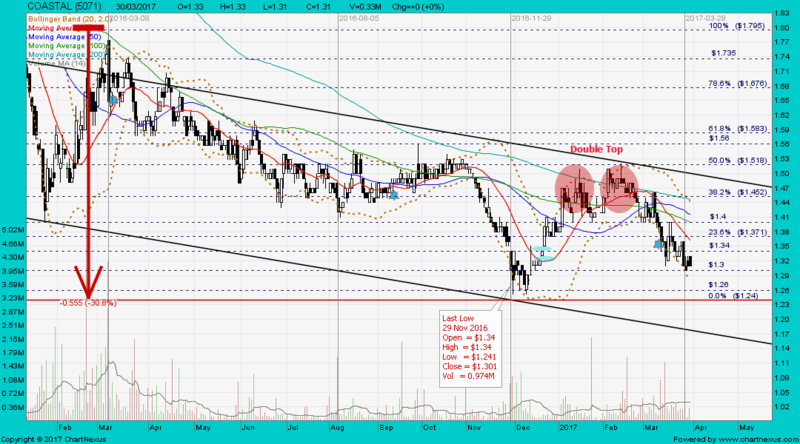 Immediate support @ S$2.20, immediate resistance @ S$2.32. Duty Free Intl closed with a hammer @ S$0.32 (+0.005, +1.6%) with 1.21m shares done on 14 Jul 2017. Duty Free International (DFI), the multi-channel duty free and duty paid retail group in Malaysia with over 40 outlets, has announced earnings of RM15.1 million (S$4.8 million) for 1Q18 ended May 31, representing a 24.1% decline from the RM19.8 million posted in 1Q17 a year ago. 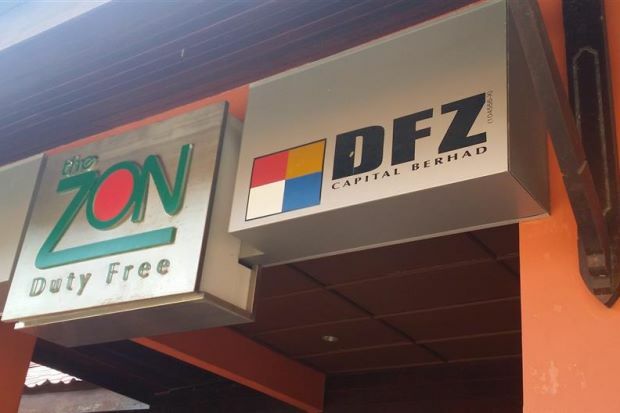 Shares of DFI closed flat at 33 Singapore cents on Wednesday. DFI are tightly held, with a free float of only about 20%. As at 16 May 2016, Atlan Holdings Bhd, listed in Bursa Malaysia, controls 79.09% of DFI. (As at 31 May 2016, Dato Sri Adam Sani Bin Abduuah holds 51.35% and Tan Sri Dato Seri Vincent Tan Chee Yioun holds 23.93% deemed interests respectively in Atlan Holdings). 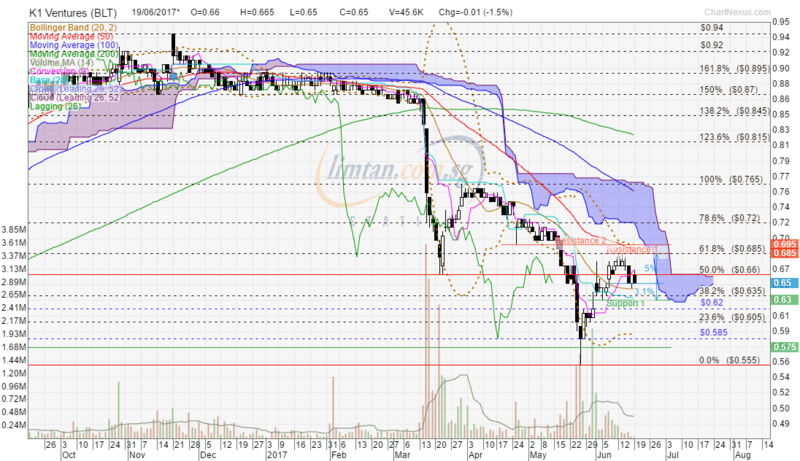 Axiata has 28.39%, Keppel T&T 19.23% and Singapore Press Holdings 13.38% in M1. M1 gapped down and closed with a spinning top @ S$1.935 (-0.165, -7.9%) with 23.7m shares done on 19 Jul 2017. 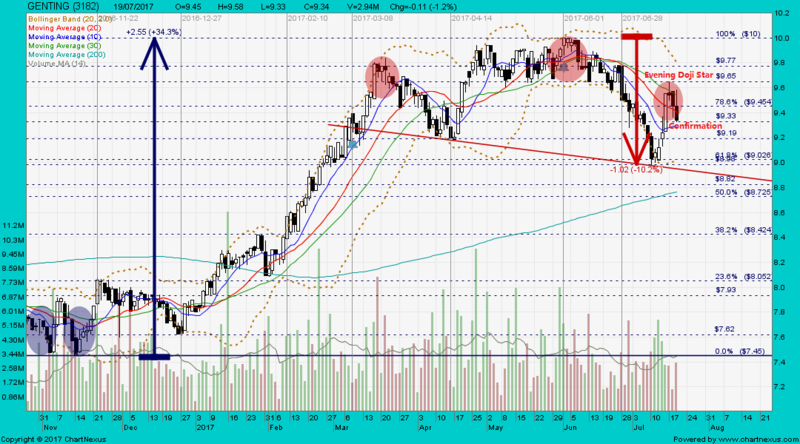 Immediate support @ S$1.875, immediate resistance @ S$1.965. 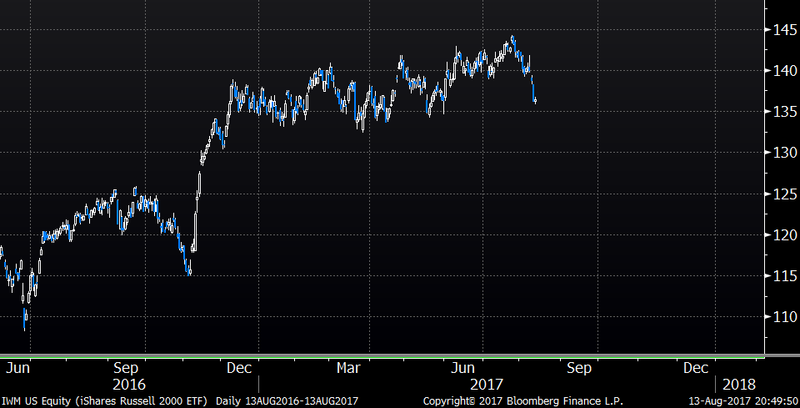 Telstra closed @ A$4.40 (+0.17, +4.02%) on 5 May 2017. GENTING closed with an inverted hammer @ RM9.34 (-0.11, -1.2%) with 2.94m shares done on 19 Jul 2017. 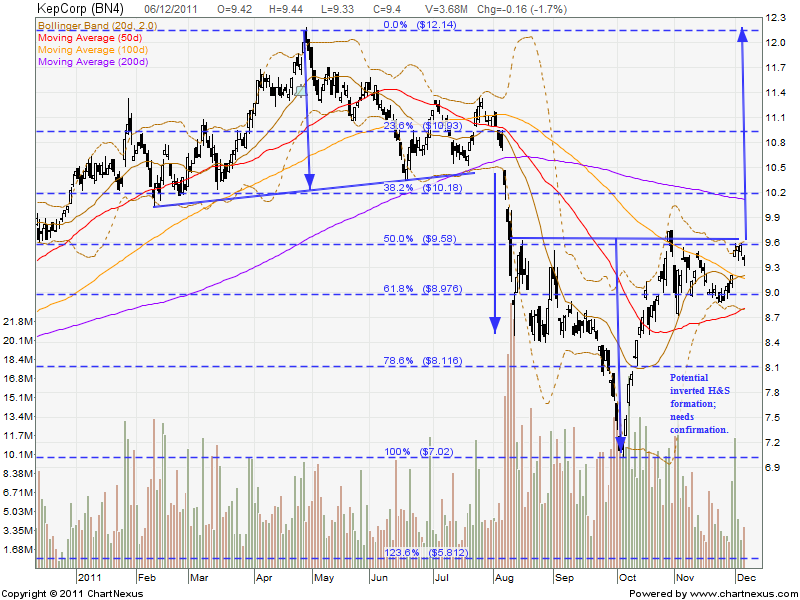 Immediate support @ RM9.19, immediate resistance @ RM9.45. One day prior to M1's Q2 earnings results on Wed 19 Jul 2017; Temasek pared down 203,400 M1 shares between S$2.06 to S$2.10 per share, i.e. B4 the gap down to low of S$1.915 on 19 Jul 2017. 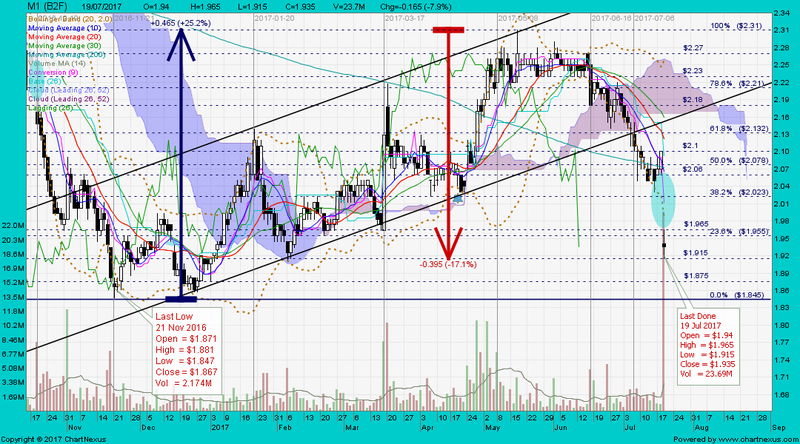 Decreased from 186,091,118 to 185,887,718 shares or 20% to 19.98%. The emphasis is that big institutional players had been unloading M1 shares since 2 Mar 2015 (refer to M1 chart dated 18 Jan 2016 below), without the participation of the 3 major SSHs. 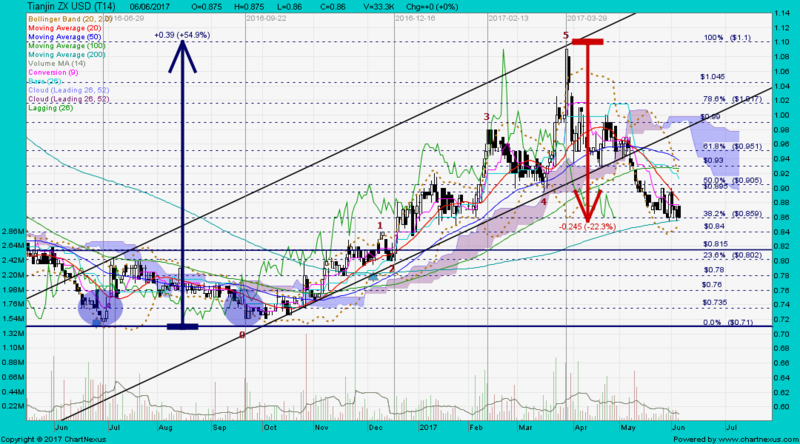 M1 is riding on the sub-wave (iii) of the corrective Wave-C down. 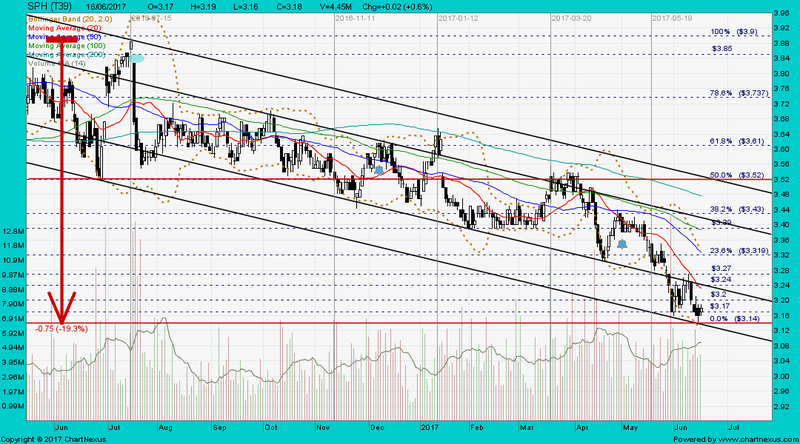 Once the targeted price @ S$1.71 is broken convincingly with high volume, the next new target price would be S$1.40. K1 Ventures has agreed to sell off its entire interest in Guggenheim Capital for a gross cash consideration of US$221 million (S$300.4 million) , which will boost its earnings per share by about 31 Singapore cents for the financial year ending June 30, 2017. The book value, or the value of the asset entered in K1 Ventures' books, is about S$143 million. KI, in which Temasek Holdings has a deemed interest of 36.04 per cent, had on numerous occasions during the past several years, told shareholders of its intention to divest its interest and distribute the surplus cash back. The disposal is expected to be completed during the fourth quarter of 2017. The Singapore-listed company will rid 100,000 Series A preferred units, 250,000 common units, 11.11 million detachable warrants, and an additional 1.85 million common units. "The Guggenheim Disposal is in accordance with the original investment documents,'' K1 said on Friday, adding that it is also part of the company's on-going process of monetising its investments. The sale is also expected to boost K1's net tangible assets per share by 29 Singapore cents for the financial year ended June 30, 2017, after taking into consideration estimated adjustments for factors such as net assets and income taxes. On June 13, 2011, K1 completed a US$100 million investment in Guggenheim, which is a US-based privately held financial services firm with more than US$200 billion in assets under management, receiving the preferred units, the common units, and the warrants. Following the completion of the disposal, K1 Ventures would have disposed of all or substantially all of its assets and property. It would take steps to suspend the trading of its shares from the date of completion of the sale. After distributing its excess cash to its shareholders, K1 plans to commence voluntary liquidation. However, it will also consider other options including voluntary delisting or reverse takeover of the company, amongst others which are consistent with its stated objective of monetization of investments and distribution of excess cash. At 09:59am, K1 was trading around S$0.730 a share, up S$0.045, or almost 7 per cent. M1 closed with a hammer @ S$1.78 (-0.005, -0.3%) with 2.29m shares done on 28 Jul 2017. 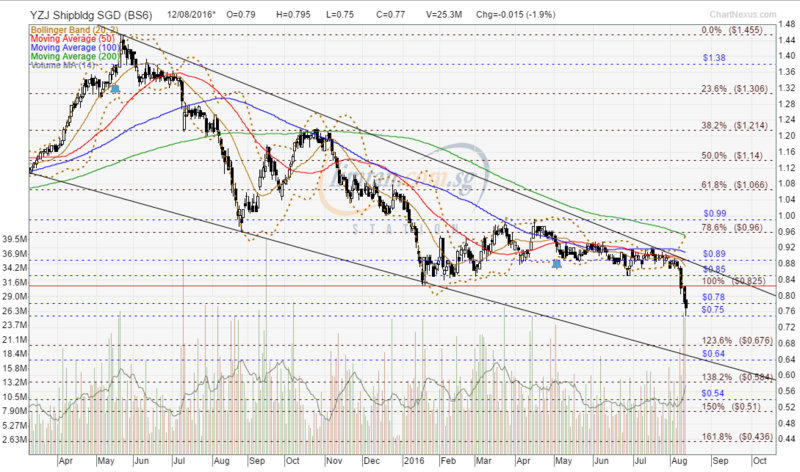 Immediate support @ S$1.71, immediate resistance @ S$1.815. Do not chase. 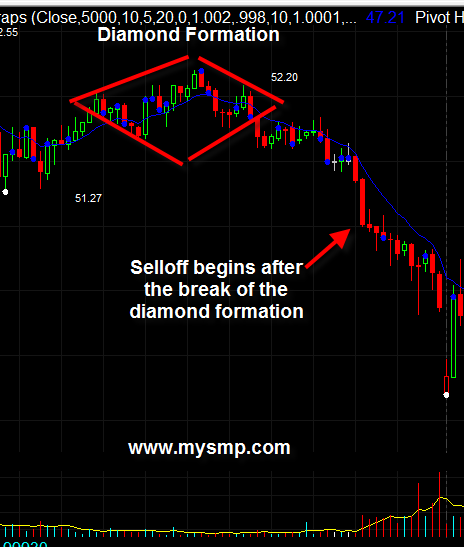 K1 has a chart pattern similar to Japfa; the gaps on both charts are strong sell signals. K1 gapped up with a spinning top and closed @ S$0.74 (+0.055, +8%) with 2.22m shares done on 28 Jul 2017. Japfa closed with a hammer @ S$0.595 (+0.005, +0.8%) with 6.61m shares done on 28 Jul 2017. In technical analysis, history repeats itself. 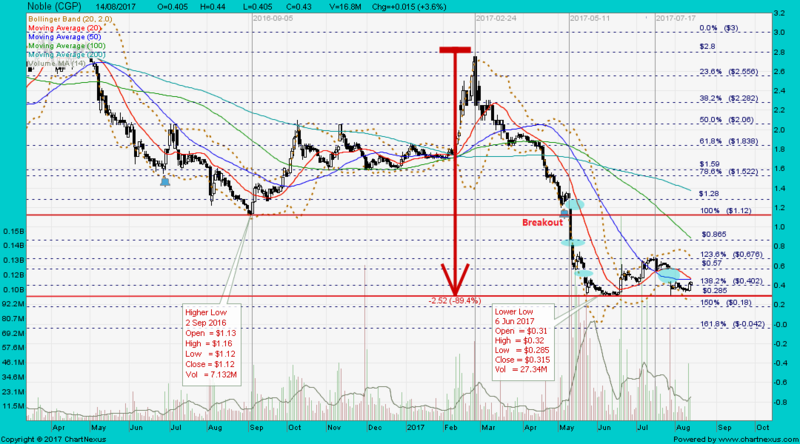 The theory behind chart pattern is based on this assumption. 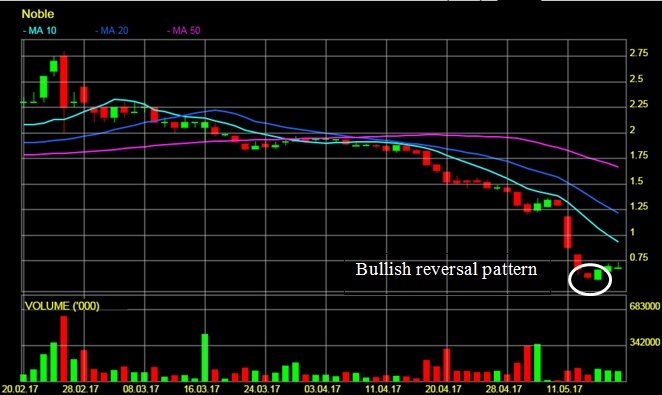 The idea is that certain patterns repeat many times, and that these patterns signal a certain high probability move in a stock. 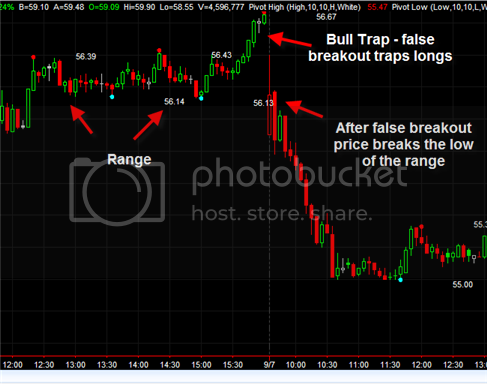 Based on the historic trend of a chart pattern setting up a certain price movement, look for these patterns to identify trading opportunities. Follow the smart money; they sell, you follow sell, not buy. SembCorp Marine closed with a spinning top @ S$1.685 (-0.01, -0.6%) with 3.15m shares done on 31 Jul 2017. 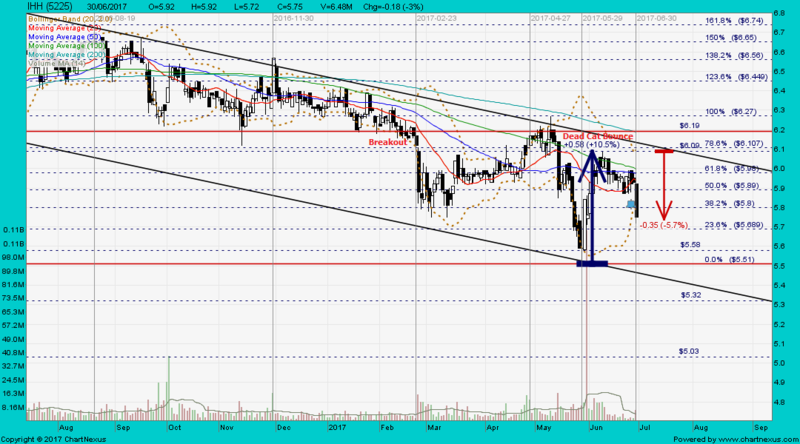 Immediate support @ S$1.66, immediate resistance @ S$1.73. The gaps created on 9 Mar 2017 and 28 Jul 2017 are strong sell signals. PB Bank closed @ RM20.60 on 1 Aug 2017. Looks like I got no fate with stocks starting with k.
Last time I buy keppel corp, I have to wait for 1 year before got profits so I can sell. RMG vs Super Group ~ "A hero is nothing but a product of his time." 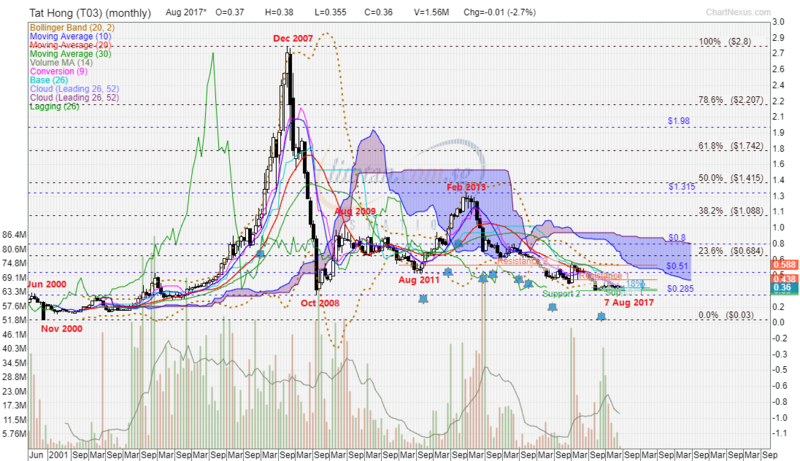 In 2011, I longed Keppel Corp shares at S$7.70 per share and set my SL @ S$7.30. When that price was triggered, I realized a total loss of S$6,000 for that trade. Datapulse Technology Limited announced that the Company has, on 26 July 2017, granted an option to purchase (the "Option") to an independent third party purchaser for the sale of its property situated at 15A Tai Seng Drive Singapore 535225 for an aggregate consideration of S$53,500,000 on the terms and subject to the conditions of the Option. The Option shall remain valid up to 4.00 p.m. on 9 August 2017. The Property is a leasehold property granted by the Jurong Town Corporation with a 30-year lease tenure commencing from 16 August 1993 with a further term of 30 years. It is a six-storey industrial building comprising production and warehouse areas as well as ancillary offices, and has a gross floor area of approximately 15,174 square meters. The excess of the proceeds from the Proposed Disposal over the book value of the Property is approximately S$45,109,000 and The net gain on the proposed Disposal is expected to be approximately S$44,474,000. The Company intends to deploy part of the proceeds from the Proposed Disposal to acquire a new premise to continue its existing business and operations. The remaining proceeds from the Proposed Disposal will be used as general working capital for the requirements of the Group’s businesses and operations and for the Group to undertake new investment opportunities that may arise in the future. "A hero is nothing but a product of his time." 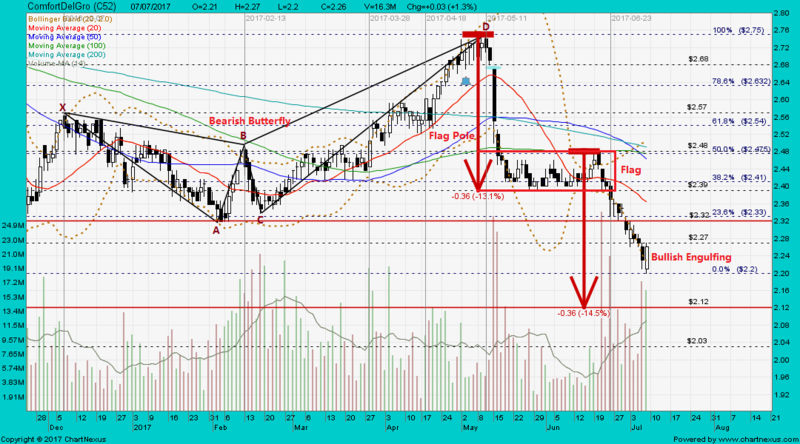 Tat Hong and COSCO have similar chart patterns. 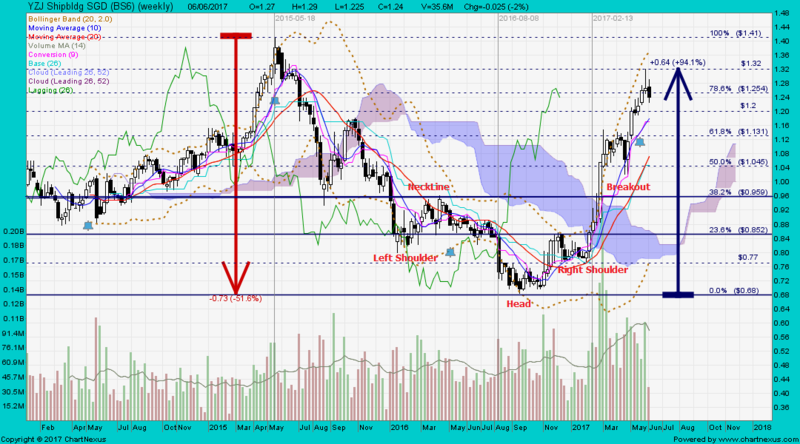 Tat Hong peaked @ S$2.80 and hit a last low of S$0.33. 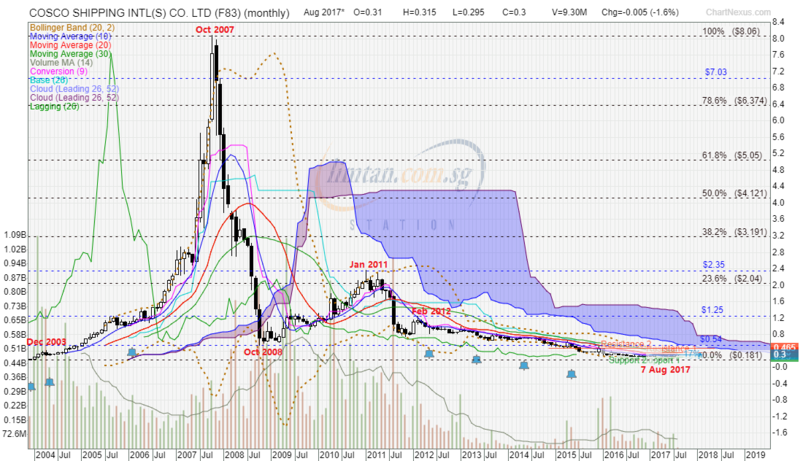 COSCO peaked @ S$8.06 and hit a last low of S$0.255. Malaysia’s government on Tuesday, Aug. 8, 2017 launched an inquiry into massive foreign exchange losses by the central bank more than 2 decades ago, in a probe that could lead to criminal prosecution for Mahathir. The administration of Prime Minister Najib Razak regularly boasts of reducing poverty and increasing per capita income, and yet Malaysians complain even more often about the increasing difficulty of making ends meet. Whether it is a perception problem or not, ministers are acknowledging that this is the key concern for an election due in 15 months. The Straits Times' Malaysia Bureau delves into this prickly issue. 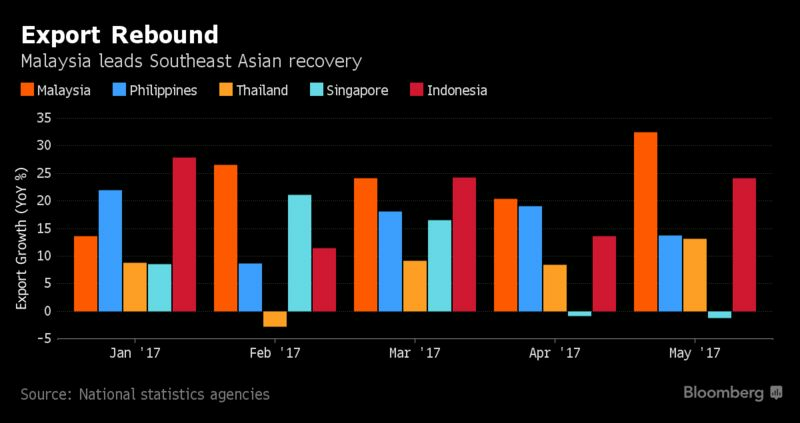 Inflation in Malaysia hit an eight-year high in January and kept climbing up to March. Many blame the 6% GST introduced in 2015 for rising prices, and a weaker ringgit for pushing up the costs of imports. Before every major festival, Malaysia announces a list of goods - such as turkey for Christmas and pork for Chinese New Year - under price control. But for the ongoing Ramadan fasting month, government enforcers went on an unprecedented 10-day raid of 11,895 business premises, issuing fines to errant traders for overpricing 10 items ranging from coconuts to mung beans. With the general election due in 15 months and complaints over rising costs getting louder, the enforcement by the governing Barisan Nasional (BN) coalition is timely. Worryingly for BN, which has ruled South-east Asia's third biggest economy since independence in 1957, inflation hit an eight-year high in January and kept climbing up to March. Many blame the 6 per cent goods and services tax (GST) introduced in 2015 for rising prices, and a weaker ringgit for pushing up the costs of imports. International Trade and Industry Minister Mustapa Mohamed, the longest-serving Cabinet member in the Najib Razak administration bar the premier himself, said in a Bloomberg interview recently that the cost of living was the primary concern for voters. "People are worried that the dollar is not stretching as far as it used to. People remain unhappy about GST," he said. Malaysia's top pollster, Merdeka Centre, also found that economic concerns were foremost on the minds of 74 per cent of voters, far ahead of well-documented ethnic and political discord, at 3 per cent and 2 per cent respectively. 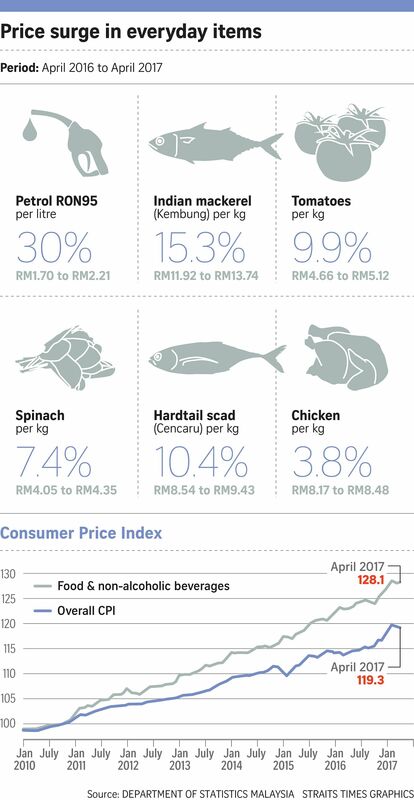 Its survey results from March, which were shared with The Straits Times, also showed that inflation was the most important issue for six out of 10 Malaysians, and for more than three-quarters of Muslims, who make up two-thirds of the electorate. "The biggest factor is the worsening economy, which includes rising cost of living, and dwindling opportunities and employment. But as election day draws near, the poor will be showered with goodies, and will be counted on to deliver for BN," S. Rajaratnam School of International Studies senior fellow Oh Ei Sun told The Straits Times. The government insists that it has contained inflation. Since Prime Minister Najib took power in 2009, annual inflation has crept over 3 per cent only twice. But the other half of the cost of living equation is income. Per capita annual income has dropped from US$10,345 since Datuk Seri Najib's narrow 2013 election victory to US$8,821 (S$12,180) last year - a sharp 15 per cent slide. Ms Hanisah Shaari, a mother of seven, makes just RM500 (S$161) a month on her own, selling chicken chop at a stall in a quiet Kuala Lumpur street across from her low-cost flat, where she has stopped paying her RM124 monthly rental. "I have no plans. I have tried to think of ways to resolve this money issue but it just results in a headache," she said. Datuk Seri Najib boasted last month that the Economist Intelligence Unit (EIU) ranked Malaysia's cost of living as the lowest in South-east Asia. "We have done a lot of work to ease the people's burden related to the rising cost of living," said the Prime Minister, listing efforts such as price control, assistance for housing and entrepreneurs and, of course, the cash aid scheme 1Malaysia People's Aid or BR1M. Since BR1M started in 2012, almost RM19 billion has been disbursed. But his assertion based on the EIU data has been challenged by unionists. The Malaysian Trades Union Congress' Sarawak secretary Andrew Lo noted that the EIU study was intended for expatriates and business travellers, who measure cost in US dollars. 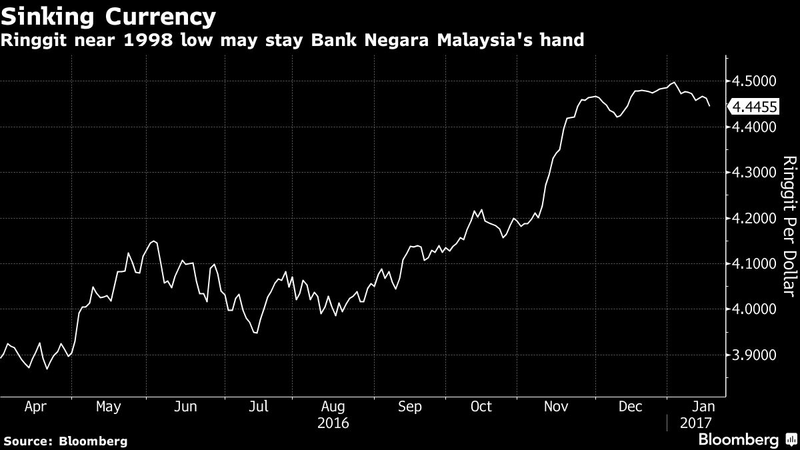 The Malaysian currency lost a third of its value against the greenback from 2013 to last year, although it has recovered slightly in recent months. The ringgit is also down by 23% against the Singapore dollar in the past four years. "To make a profit you need to BUY and SELL at the right time." "In real life, when one falls from grace; it is very difficult to get back on track." Commodities trader predicted $1.8 billion shortfall last month. 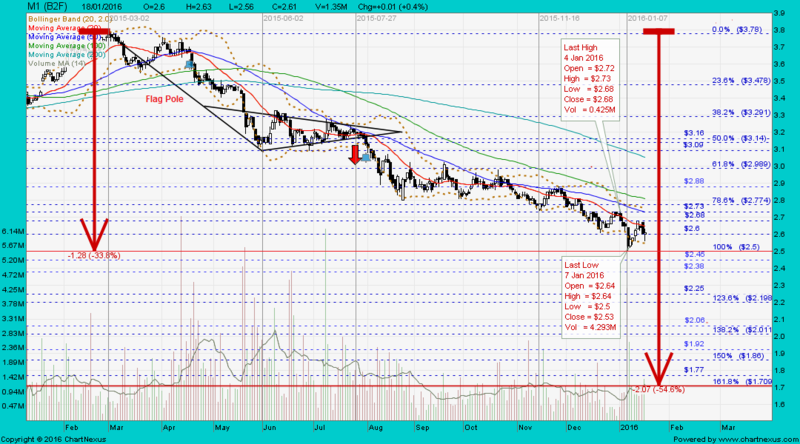 this is THE chart/blueprint that many stocks in KLSE. 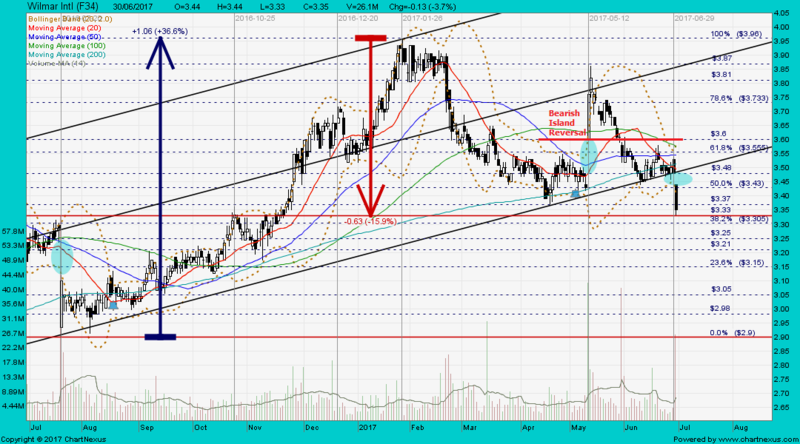 Beware direction is down and manys stock are due for more loses. COASTAL closed with a black marubozu @ RM1.16 (-0.05, -4.1%) with 506,000 shares done on 11 Aug 2017. COASTAL closed with a black marubozu unchanged @ RM1.31 with 330,000 shares done on 30 Mar 2017. Wilmar gapped down and closed with a black marubozu @ S$3.20 (-0.22, -6.4%) with high volume done at 25.3m shares on 11 Aug 2017. 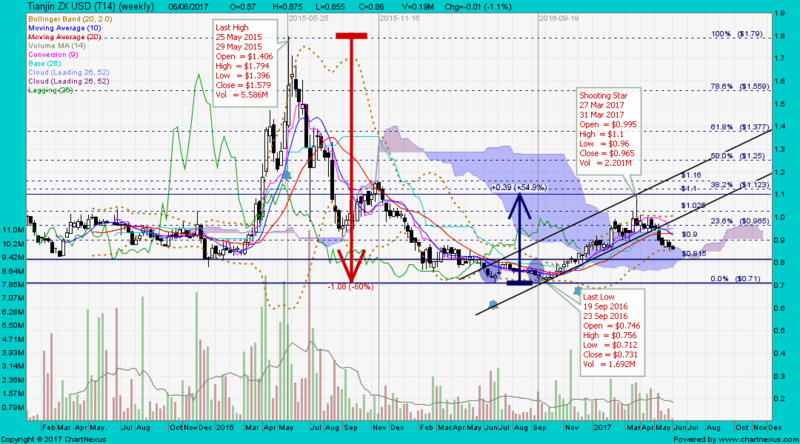 Immediate support @ S$3.15, immediate resistance @ S$3.28. Wilmar will invest $120m in Shree Renuka Sugars Ltd as part of a plan that also involves the company restructuring its massive debt. 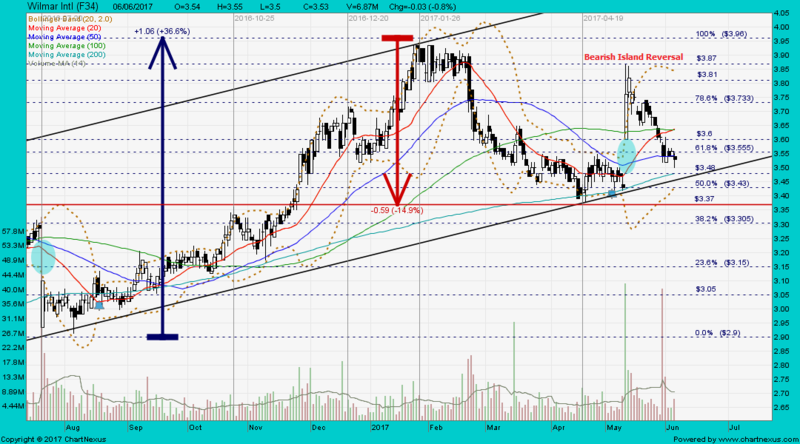 It will own approximately 38% stake in Shree Renuka, a hike of 11% from the existing 27%. The U.S. dollar/Turkish lira (TL) exchange rate dropped to TL 3.5140 Friday, marking the lowest level it has seen this year. 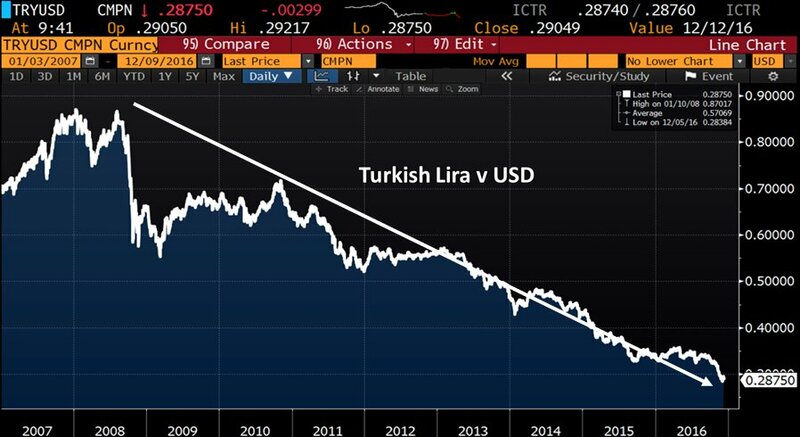 Turkish Lira down 67% against the US dollar since 2008. 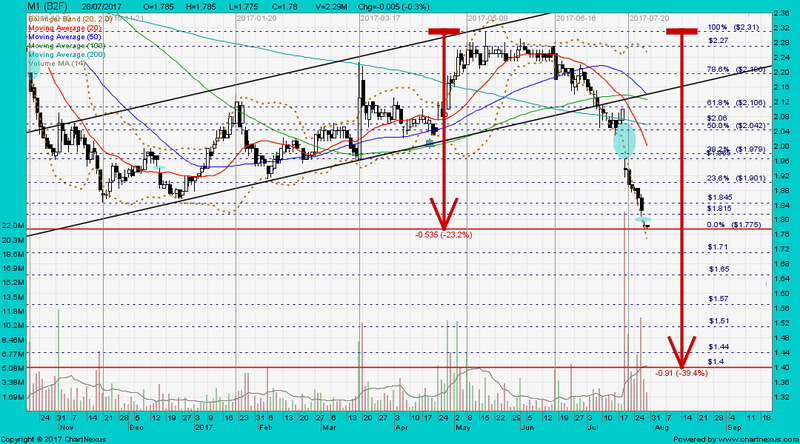 IHH share price had fallen to current levels on currency exchange volatility concerns. IHH Healthcare is an international provider of healthcare services in markets where it thinks the demand for quality healthcare is growing rapidly. Right now, the company is active in Asia (this includes Singapore and Malaysia), Central & Eastern Europe, the Middle East, and North Africa. Asia remains the company’s largest market. Some of the company’s brands include Gleneagles, Mount Elizabeth, Pantai, ParkwayHealth and Acibadem. IHH Healthcare released its 2017 first quarter earnings two weeks ago. 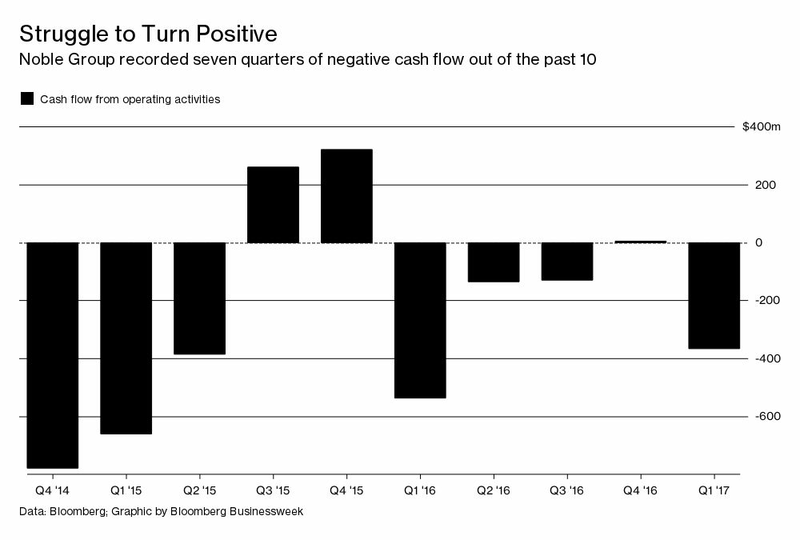 Quarterly revenue was up 8% year-on-year, but net profit (excluding exceptional items) was down 15%. The company’s top-line benefited from organic growth and contributions from new hospitals. But the pre-operating and start-up costs of the new hospitals ate into the bottom-line. In March, HH Healthcare opened two new hospitals, namely, the 500-bed Gleneagles Hong Kong Hospital, and the 350-bed Acibadem Altunizade Hospital in Turkey. Investors appear to really like IHH Healthcare’s growth prospects, judging from its trailing price-to-earnings (PE) ratio of 57.6. Noble proposed share consolidation of 10-into-1. Noble closed with a white marubozu @ S$0.43 (+0.015, +3.6%) with 16.8m shares done on 14 Aug 2017. TOKYO -- "What is your big short?" 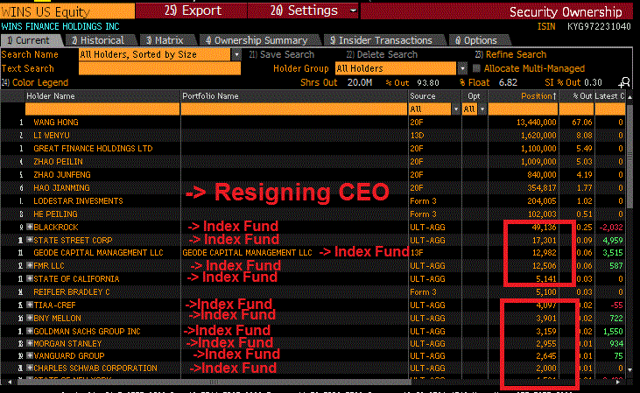 Hedge fund managers and investment bankers are tossing this question around a lot these days -- prompted, perhaps, by the 10th anniversary of BNP Paribas' suspension of funds exposed to the U.S. subprime mortgage problem. The French bank's move in August 2007 was one of the major milestones leading up to the global financial crisis. The term "big short" entered the lexicon as the title of a 2010 best-seller by U.S. author Michael Lewis. The book describes how certain investors predicted the collapse of the American housing bubble and reaped huge profits by short-selling related assets. Now, market players are keen to spot the next assets poised for a plunge. Slowly but steadily, U.S. stocks are setting one new high after another. Spreads on low-rated bonds, meanwhile, have fallen to the lowest level since the crisis. When tensions on the Korean Peninsula rise, investors typically buy yen and unload stocks -- a trend fueled by short sellers convinced something will have to give. 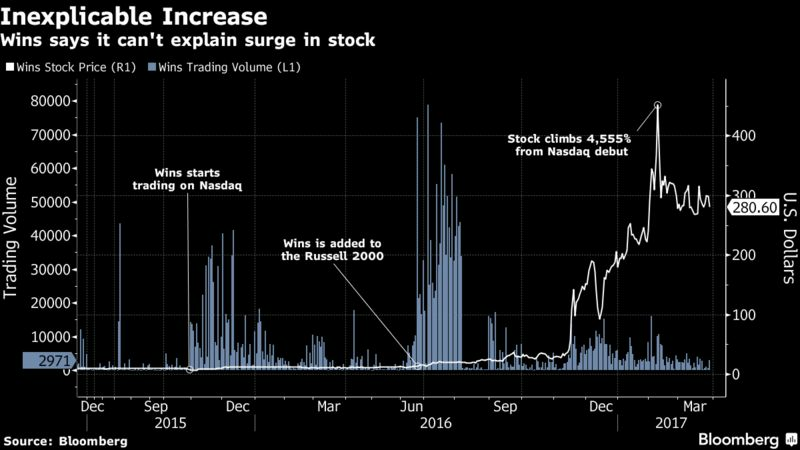 Hedge funds and traders are on the lookout for potential "amplifiers" of chaos. These factors could fan the flames once trouble flares up. Since the crisis, financial institutions have increased their capital bases and tougher regulations have strengthened the financial system. But because it is more difficult for the institutions to take risks, liquidity has dried up in the corporate bond market. The amount of corporate bonds held by brokerages and other traders has fallen to about one-fifth of the level a decade ago, according to the Federal Reserve Bank of New York. Dealers' role of buying and holding bonds is not functioning like it used to. And as low interest rates have spurred an increase in bond issuances by low-rated companies, the outstanding balance of issues has swelled by as much as 60% over the last decade, creating shaky ground for trading. If investment trusts and exchange-traded funds holding corporate bonds move to dump some of the excess they have built up over the last 10 years, it could make smooth trading impossible and trigger a panic, warned a bond trader at a U.S. brokerage house. Predicting catalysts of hysteria is not an exact science, however. Besides North Korea, U.S. retailers are seen as another candidate. There is talk that Sears Holdings may default on its debt, after years of struggling to adjust to the rise of e-commerce. 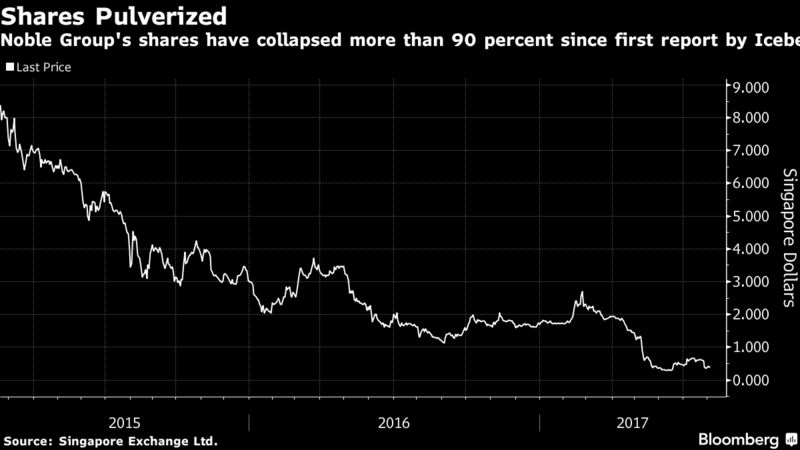 Premiums on five-year Sears credit default swaps have risen above 30%, meaning the market sees a nearly 90% chance of a bust. Yet, for now at least, the overall corporate bond market is relatively calm. The rate of defaults involving corporate bonds and loans to speculative-grade companies is around 2%, according to S&P Global Market Intelligence. Having learned from the crisis 10 years ago, market players tend to zero in on risks related to debt and the financial system. But Kenichi Hirayama, chief strategist at Tokio Marine Asset Management, turns his gaze elsewhere: "A crisis, if any, may start in the currency system," he said. Consider the Hong Kong dollar. Though the city has close economic ties with mainland China, its currency moves independently from the yuan. The Hong Kong dollar is often used for the flight of funds from the main land. Not surprisingly, the Chinese government sees the alternative currency as a nuisance. If Beijing were to eliminate the Hong Kong dollar, it would create serious confusion for U.S. and European investors in the city. 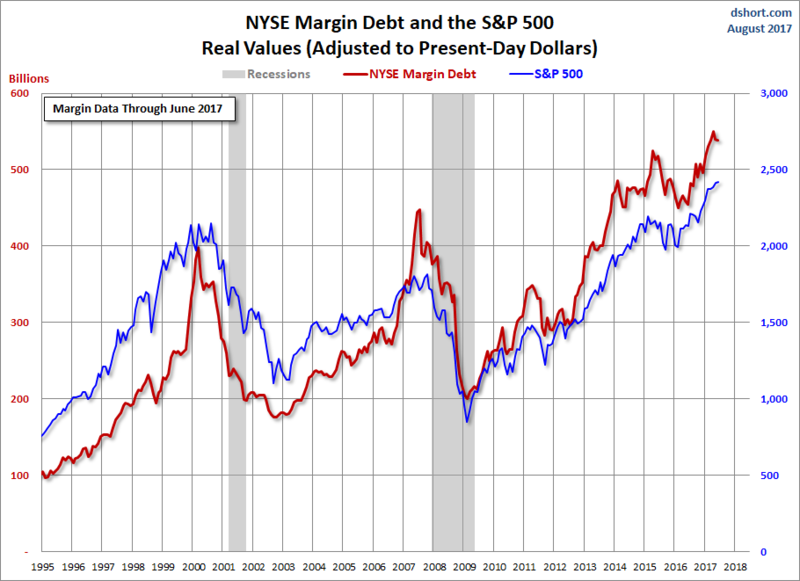 In the recent history of financial crises, corporate debt soared as a result of the dot-com bubble. The U.S. housing bubble shifted the question of liabilities to the household sector. Governments pulled their countries out of the global crisis by piling up debt in the form of bonds -- absorbed by central banks as part of their quantitative monetary easing. Given the flow of debt, risks appear to be accumulating around the currencies managed by central banks. 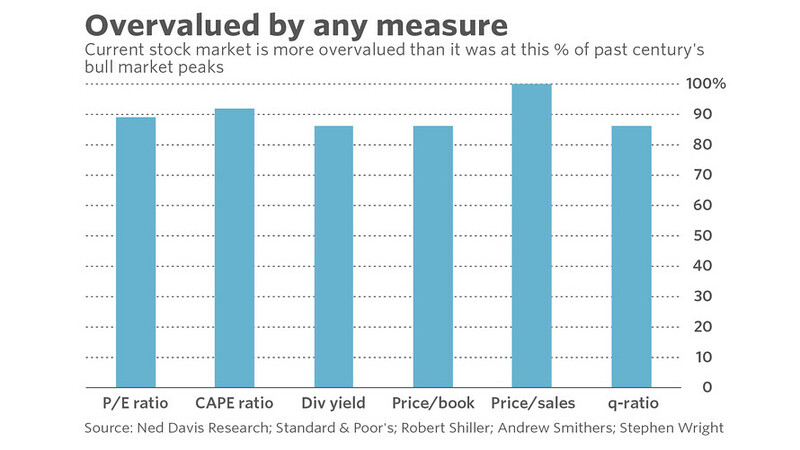 When stocks are as overvalued as they are today, almost anything can become a bear market trigger. And sometimes it takes nothing at all. 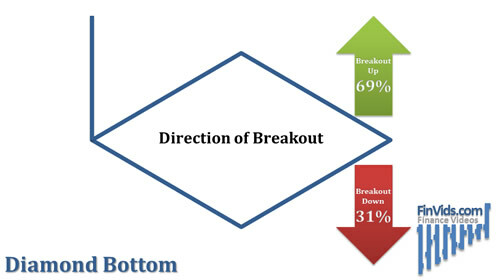 The psychology of testing breakout levels is an important one. A test of the 115 level, the lows seen prior to the election, would suggest that the main reason for the rally (tax restructuring) will be very disappointing. We won’t know what that looks like until October or so.